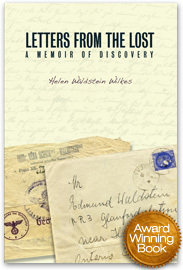 Letters From the Lost: A Memoir of Discovery (Athabasca University Press) won the 2011 Alberta Readers Choice Award. (See her acceptance speech below). 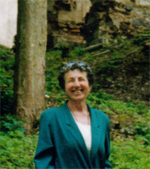 About the book: “On March 15, 1939, Helen Waldstein’s father snatched his stamped exit visa from a distracted clerk to escape from Prague with his wife and child. As the Nazis closed in on a war-torn Czechoslovakia, only letters from their extended family could reach Canada through the barriers of conflict. The Waldstein family received these letters as they made their lives on a southern Ontario farm, where they learned to be Canadian and forget their Jewish roots.